At Puget Sound Cooperative Credit Union (PSCCU) we’ve been serving the financial needs of our neighbors since 1934 with a variety of products and services. But one of the ways we’re different is we’re one of the few financial institutions offer energy-efficiency / solar loans. Our Energy-Smart Loans improve housing stock, lower energy usage AND put people to work. Our deposits go towards supporting the environment, sustainability and YOUR local economy. That’s how PSCCU practices community and cooperation. Our solar program (to date) has helped over 2,600 Washingtonians become solar citizens, created living wage jobs, and these solar projects have put nearly $75 million back into our local economy which in turn will generate 6,100 Megawatts of electricity over their lifetime! 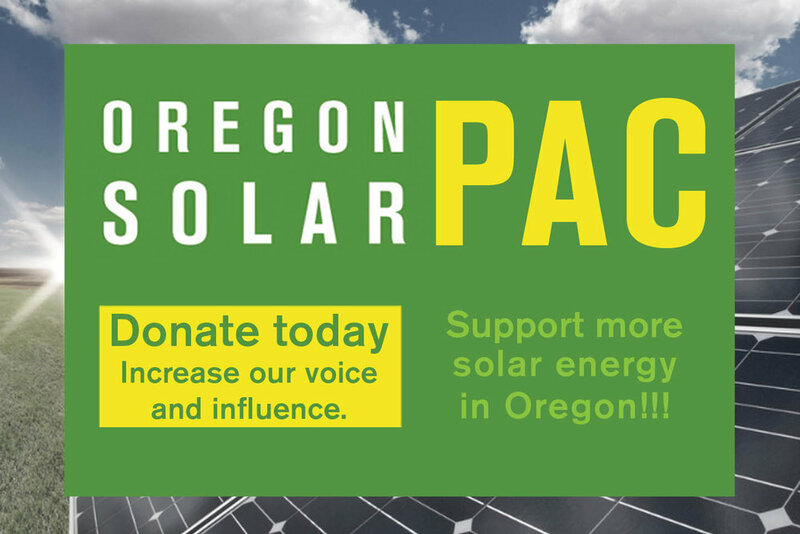 We’re looking forward to adding Oregon solar projects to those numbers. Oregon residents can join PSCCU and take advantage of our Energy-Smart loan program simply by becoming a member of the NW Energy Coalition (NWEC). More information about the Coalition and membership can be found on their website. For more information about PSCCU and our loan program available in Oregon visit psccu.org or call us at 800-273-1550. The application process is simple and can all be done online, as can the document signing. We generally have a decision the same day if not the next business day because we strive to make the process simple and successful for you and for us. I’m proud of the solar and energy-efficiency lending programs PSCCU has created, but more important to me are the relationships I have developed over the years. It’s exciting to (in a small way) play a role in the success of such an amazing, ever changing, rapidly growing industry. See what some of our partners have to say about our loan program. "Thanks and kudos to PSCCU for offering great incentive loans to promote greener living, lower power bills, and greater utilization of alternative energy in Washington. Here is what has resulted because of your streamlined loan process, which allowed us to access available funds at low rates. We are thrilled to own a “mini- solar farm,” producing power for ourselves, and our community. We are grateful for friends, the sun, and PSCCU for lighting up our world; keep shining bright." ~ Brent B.
I’m here to help in whatever way I can from marketing materials to staff education – feel free to contact me by email: shannone@psccu.org or give me a call at 425-283-5155. I hope to get a chance to meet many of you in person at the conference in May.